House Sold Easy - Sell Your House for CASH! Sell your house for all cash, without making any repairs. We will make you a cash offer today! Sell Fast! Sell for Cash! We do a 30 minute walk through of the property to evaluate the condition and any repairs that are needed. Cleanliness doesn't matter! We set a settlement date. Usually within 2 weeks! We will pay all cash for the property. We are here to help. Sell Your House Fast, for CASH! Its that easy. 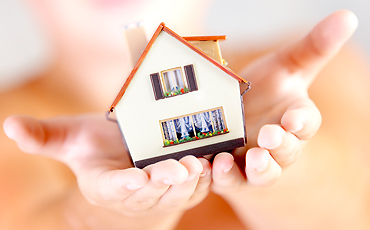 We are available 24/7 to speak to you about how we can help buy your house for cash. All of our home buyers are professionals and are ready and willing to buy your house. We will schedule a walk through. After we speak we will schedule a time that is convenient for a quick walk through of the house. No need to clean or fix anything, we will buy it As-Is. We will make you a fair CASH offer! After meeting with you, we will make you a cash offer and we often close the deal in 2 weeks or less. We are here to help! Don’t hesitate, call us today. We can pay ALL the closing costs. We will arrange the closing with a title company and make sure the process goes smoothly. Easy is what we do! All of our home buyers are trusted professionals. We have been buying real estate for over 10 years and have the experience to get your home sold fast, and for Cash! Do not worry about cleaning the home or if it is in bad condition. We are experts at estimating repair costs and will give you a fair cash offer based on the value of the home. We are here to help, Call us today! Have Questions? Send Us A Message, We Can Help!